This is a drama sketch based on two Bible stories: Genesis 39:1-20 and the book of Ruth. I’m a wealthy landowner from the tribe of Judah. I’m married to the Captain of the Guard to Pharaoh himself. I’m a bachelor who’s coming on in years. I’m an underappreciated trophy wife. A while back, a woman started working in one of my fields. 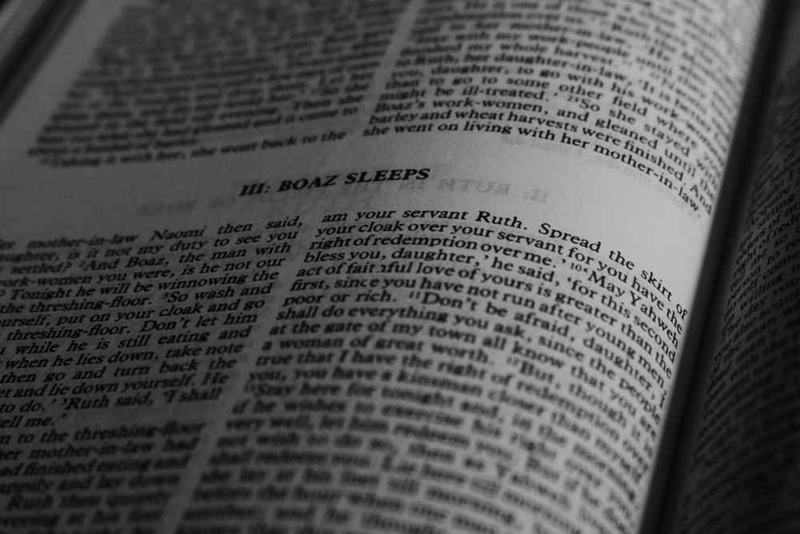 Her name was Ruth. A while back, my husband bought a new slave. His name was Joseph. Her story was tragic: she was a childless widow, and both her brother-in-law and father-in-law had also died. His slave sob-story was of no interest to me. She was from Moab, but she left her country out of commitment to her mother-in-law. He was from… not Egypt, but he had this gorgeous accent. She worked hard in my fields, gleaning grain from morning until evening so that she could provide for her mother-in-law. My husband kept him so busy managing the estate that he never had time for me. I couldn’t get over how much I admired Ruth. I couldn’t get over how much I wanted Joseph for myself. I told my fellow townsmen about her noble character. When I was alone, I would imagine him coming to me and worshipping me. She was very vulnerable in her circumstances, so I did what I could to protect her. I used my position to create opportunities for us to be alone together. I would have made an offer to marry Ruth, but there was another man from my tribe who had a prior claim to marry her. I asked Joseph to come to bed with me, but he said that sleeping with his master’s wife would be a sin against his god and he refused me. Also, given our respective circumstances, it would have been hard for her to say no if she didn’t want to marry me. I didn’t want to put her under pressure. Even when I applied some pressure, all I got from him was no, no, and no. What was it going to take for him to stop blocking me? And then the most frustrating thing happened. She came to me and asked me to spread the corner of my cloak over her. She wanted me to marry her! I caught hold of him while all the servants were out but instead of giving in, he ran outside leaving his cloak behind. But before I could do anything further I knew I had to speak to the man who had the prior claim. I decided to speak to my husband about Joseph. So the next day, at the town gate, in the presence of ten elders, I asked the man from my tribe whether he was willing to marry Ruth and redeem the estate of her late husband. So I called the household servants and told them that Joseph had tried to molest me. I made it clear that they had no choice but to support my version of events. The man said that he wouldn’t marry her as it might endanger his estate. So in the presence of the elders I declared that I would marry Ruth. When my husband came home, I told him that Joseph had tried to cuckold him by sleeping with me, and that I had screamed for help and he had run out of the house. Then my husband was furious and he cursed Joseph and the woman who bore him. Ruth and I married and God blessed us with a son. My husband had Joseph thrown into the jail where Pharaoh’s prisoners are kept. And every day I am reminded of how fortunate I am. And every day I am reminded of how unfair Joseph was to me. This is my own creative work. If you like this sketch and want to use it, please contact me. If you want to know more about what inspired me to write this, read my next post.